As Queensland’s largest independent flooring brand we have been working wonders on residential homes and commercial properties for decades. The team here at Bennetts Carpets take pride in offering excellent advice on Brisbane flooring solutions for homes and businesses. A no cost, no pressure quote. Our Cleveland showroom has on display our ranges and options so you can see the products and talk to our professionals at the same time. There is one piece of advice we can give you today. In the age of DIY makeovers, weekend experts, YouTube learners and Google professionals it is this: Please speak to flooring professionals before you spend any money. It will cost you nothing and may save you a lot. If you would like to explore your Brisbane flooring options, then contact us today. We have a wide range of flooring materials available for you to inspect. Simply follow the links in the contact section of our website, and submit a query. Our team will get back to you as soon as possible. Alternatively, you can give us a call or visit our customised showroom. We welcome the opportunity to help with your flooring project, so get in touch! Here at Bennetts Carpets, we take a personalised approach to our customers’ needs. We understand that your flooring requirements are dynamic and ongoing. Our services are built on quality, so we start from the ground up. Our team sources the finest quality flooring materials, from Australian manufacturers and producers. We do the research and rely on our experience to sort the good from the bad. Additionally, we take the time to negotiate the best prices for all of the materials we source. This allows us to keep our prices low and make quality flooring accessible to everyone. To deliver our Brisbane flooring products to our customers in the most efficient and effective way, we have a purpose built showroom. At 800 square meters in size, our showroom has a huge range of flooring options on display. Here, you can see the quality for yourself and work out what you like. We like to cater for all tastes and preferences, which is why we offer timber, carpet, vinyl, bamboo and commercial flooring. 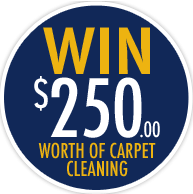 At Bennetts Carpets, our team offers the best flooring Brisbane solutions, backed by the Bennetts name. We don’t settle for less than the best and will happily apply our expertise to any situation. At Bennetts Carpets, we don’t shy away from the tricky jobs. We like to offer our expertise to all customers, whether they are commercial or residential. But to ensure the best quality for all, we have developed a targeted service process. Our process is designed to help identify your needs. We work with you to establish a solid plan, and our team will keep you informed throughout the process. The first step to our service process is for you to get in touch. To do this, you can reach us online through the contact form on our website. One of our professional sales staff members will then fill out a lead sheet. This allows us to take the relevant details and organise a call-out. 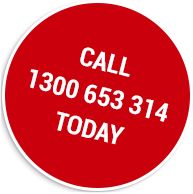 Or alternatively, give us a call on 1300 653 314! Our professional Brisbane flooring specialists conduct all of our call outs. During the call out, we will take the necessary measurements and ensure that all the important factors have been noted. These might include the shape of your floor, the layout and the overall size. When our specialists have completed all of the necessary measurements, we will be able to generate a quote. Our quotes are always based on the best flooring solutions we can provide. To arrive at this conclusion, we will always conduct a thorough inspection and make sure that all the bases are covered. After this, we will send you the digital formal quote. When you have confirmed, we will order all of the materials on your behalf. In some cases, we might already have it in stock, which means that the process might be a little quicker. Finally, we will install your flooring. This can take varying periods of time, depending on the specific nature of your project. We always strive to be as efficient as possible, but our ultimate priority is quality. Throughout the entire installation process, our team will be carefully inspecting as they go to ensure that everything is done to perfection. Is there a warranty for your flooring services? At Bennetts Carpets, we know that home improvement projects can sometimes be costly. We endeavour to provide you with the cheapest prices, but that is not all we offer! To further protect your investment, we offer a twelve month warranty on our flooring installation services. This means that you will have peace of mind in the knowledge that your floor is safeguarded, should anything happen. On top of this, our team will provide you with a flooring maintenance guide. For many, flooring might seem like a relatively low maintenance feature of the home. While this is true to a certain extent, there is some maintenance required to keep your floor in perfect condition. The precise nature of this maintenance varies, depending on the flooring you have. For example the maintenance required for a timber floor will be quite different to that which is required for a carpeted floor. With a combination of expert advice and a twelve-month warranty, you can rest assured that your floor will be in perfect condition for a long time to come. How do I know how much flooring I need? This is an excellent question, and it is one that we are asked quite frequently. The fact is, the amount of flooring you need depends entirely on a number of factors. Most notably, the size of your floor and its shape has a direct bearing on the amount of materials required. However, there are some more technical factors that can have an impact as well. Fortunately, the team here at Bennetts Carpets have that side of the project completely under control. Our flooring specialists will visit your home after your initial enquiry. During this call out, we will take a series of detailed measurements. We will also inspect the various features of your floor to establish any other points of importance. Once this is complete, we will develop a plan. This plan will provide for the amount of flooring that is likely to be required. By this stage, we will have a pretty clear idea of your home’s dimensions. As a result, we will be able to order the correct amount of flooring, to save you the hassle. When it comes to measuring and developing a plan, it is probably best left to the experts. At Bennetts, we have all the experience and expertise necessary to ensure precision and accuracy. Can I install my new floor on my own? DIY is an emerging trend and for many, it is a hobby. While this is completely understandable, we do recommend that you leave flooring to the experts. Although some people think flooring is a straightforward job, there are some rather technical points that should probably only be undertaken by professionals. At Bennetts Carpets, we have a wide range of equipment. This allows us to face any Brisbane flooring project with full confidence that nothing can get in our way. It pays to be prepared and that is something that we take seriously. So if you are interested in undertaking a flooring project, why not save yourself the effort and give us a call. Do you take away old flooring? Flooring projects are often ongoing and can involve professional maintenance at times. That’s why, at Bennetts Carpets, we strive to develop a strong working relationship with our customers. As a part of this, we offer unrivalled service. Our service is designed to take the strain off you, while also providing the highest quality flooring Brisbane has to offer. Because of our dedication to service, our services do extend to the removal of old flooring. We understand that a big pile of old flooring materials can be quite a burden for you. With our equipment and industry experience, we can remove the leftover rubbish from your property and dispose of it responsibly. For more information on the services we offer, simply get in touch with our team through the Bennetts Carpets website.